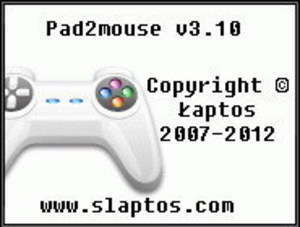 Pad2Mouse is a small freeware utility for Windows machines which allows users to control their cursor with a joystick, joypad or game controller as opposed to limiting cursor control to mouse movements. This package will work with the Playstation 3 Sixaxis controller if you have the correct drivers install. Testing and also working with the Xbox 360 controller! Usage of the onscreen keyboard is also optional. For security reasons, you should also check out the Pad2mouse download at LO4D.com which includes virus and malware tests. Additional screenshots of this application download may be available, too.